Some issues did arise in the film, such as in the first shot when some of the textures didn’t render and Maxine was floating, but despite a few minor issues we were happy with the product. This was a slight error in animation. 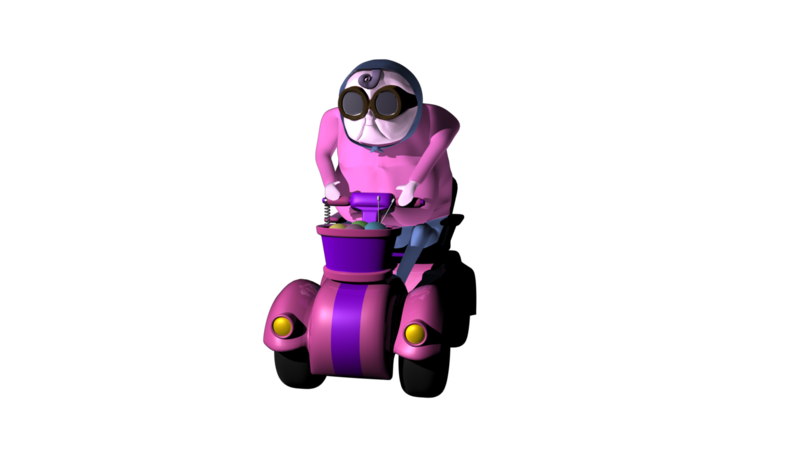 I tried to parent Maxine to a motion path so she would glide smoothly down the road, but issues with the manipulator tools meant that she would be locked facing left and floating, so we ditched the motion path and instead used basic keyframes. I was assigned as head animator for the final product. I stuck as close as possible to our original plans while still incorporating new ideas and methods of movement. 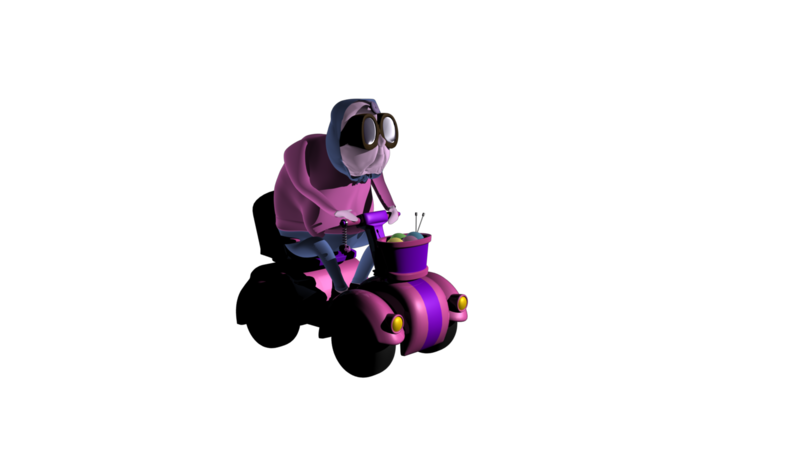 We had to then move our protagonist onto her vehicle. I took on the task. A little late in the game we realised that there was something wrong with Maxine’s rig, as seen here. Her entire geometry deformed.